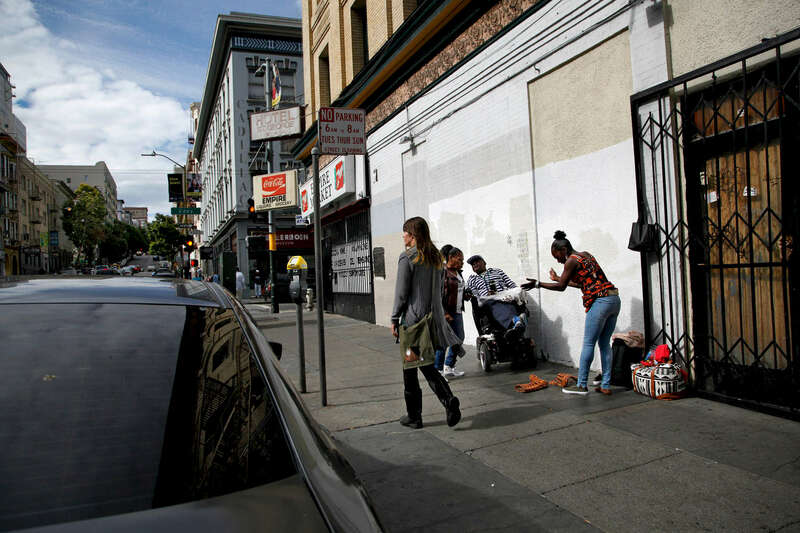 Isabella heads to her new SRO in the Tenderloin in San Francisco, Calif., on Thursday, June 16, 2016. "I don't look homeless, I don't fit the persona. There's a few stages of homelessness: there's completely out on the streets where you have to fight to survive everyday and there's the homeless where I'm at: in a SRO."